Here is one of the beautiful thanking images to thank your dear one. 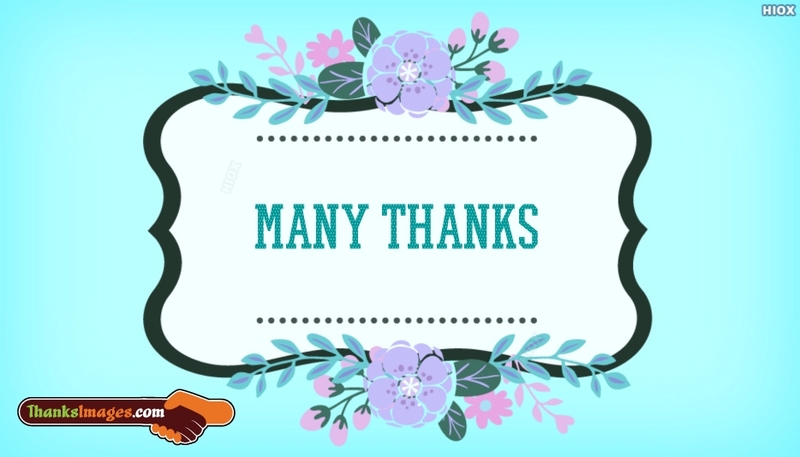 Using this "Many Thanks" picture you are saying to your dear one that you are always thankful to your dear one. Share and express your thankfulness. This picture can be shared via any social networking application.